During mid-season international breaks, success is measured very differently for competing nations depending on their respective expectations, objectives and the quality of their team. But while the general collective aim of any national team squad is to perform as best they can for their country, there are individual players who are looking to impress for other reasons. International breaks represent another window of opportunity for players eyeing big summer moves and money-spinning transfers to showcase their skills at the highest level. A match-winning performance or a high-profile goal or two for a national team could add another couple of zeroes to a player’s potential salary package or fee. Naturally, with the aforementioned factors at play, international breaks are always a great time to check out the latest odds in the bookmakers’ Transfer Specials betting markets. Below, we’ve listed some of the odds, players and potential destinations that caught our eye this week. Keep up to date with our latest international match previews, predictions and betting tips here. Dubbed the “Golden Boy” of Portuguese football, 19-year old Benfica attacker Joao Felix was expected to make his senior bow for his country this week. Things didn’t quite work out as planned for the supremely talented youngster however, and having failed to make it off the subs’ bench in Portugal’s 0-0 draw with Ukraine on Friday, injury kept Joao Felix out of the frame entirely for the team’s meeting with Serbia 3 days later. Felix’s lack of involvement this week has done little to dampen the excitement about his potential and fresh reports today suggest that Benfica are looking to increase the release clause in his contract to approximately the €120m mark amid interest from Spain and England. Man City and Man Utd have been heavily linked with the exciting forward, though Felix is thought to prefer a move to La Liga. Real Madrid are said to be close to the front of the queue for his signature, which makes them a fantastic price at 16/1 with Betvictor to be Felix’s club on September 2nd. Few players can match the rapid vertical trajectory that Jadon Sancho has taken in terms of his career and reputation over the past 18 months. The 19-year old transitioned from Man City’s youth team to Borussia Dortmund and England’s senior ranks in record time, and Sancho seems destined to reach football super stardom over the next few seasons. Sancho, who has more assists at club level this season than any other player in Europe’s “Big 5” domestic leagues, set up Raheem Sterling for England’s first goal against the Czech Republic on Friday, further enhancing his already sky-high standing. 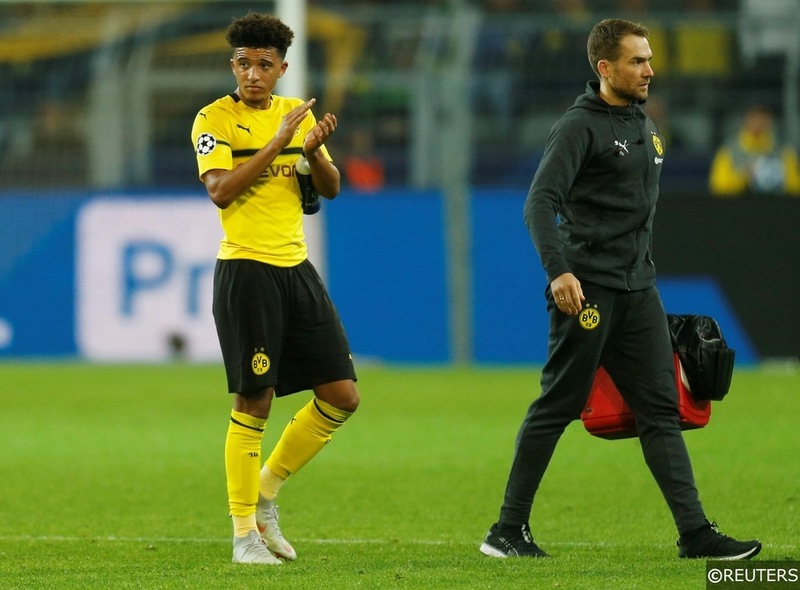 Unsurprisingly, Sancho’s performances have already turned heads in the Premier League and though Dortmund have made it clear that they would be reluctant to sell him so soon, the German outfit could be tempted to cash in if offered north of €100m for their prized asset. The latest gossip suggests that Ole Gunnar Solskjaer is a huge admirer of Sancho and that the Norwegian has identified the attacker as the ideal man to fill the gaping hole in the right side of Man Utd’s attack. United are currently favourites at 4/1 with Betvictor to sign Sancho ahead of a whole host of other potential suitors, and even though the player’s historical ties to City could complicate any deal, Old Trafford certainly feels like Sancho’s most likely summer destination at present. Inter Milan winger Ivan Perisic played in all 180 minutes of Croatia’s brace of highly-contrasting performances against Azerbaijan and Hungary this week. While the 30-year old was strutting his stuff on the international stage in Zagreb and Budapest, the transfer rumour mill was churning out new stories linking the versatile wide-player with moves away from Serie A.
Perisic was reportedly a long-term target for Man Utd when Jose Mourinho was the club’s manager, but after United balked at Inter’s asking price last summer, their interest cooled and evaporated completely once the Portuguese boss was sacked. Now, media reports suggest that Tottenham Hotspur are the new front-runners for Perisic’s signature, and the rumours also hint that the experienced Croatian could be available for a fraction of the £50m fee Man Utd were quoted for Perisic last year. A cut-price Perisic could prove a shrewd acquisition for Spurs and you can grab odds of 12/1 with Betvictor on the Croatian making a summer move to North London. World Cup champions France enjoyed a hugely productive international break, scoring 8 times on their way to winning both of their first 2 European Championship qualifiers against Moldova and Iceland. However, from an individual perspective, Lyon midfielder Tanguy NDombele had to endure a more frustrating Les Bleus experience. The highly-regarded 22-year old didn’t see a single minute of action for France in their brace of comfortable victories, and NDombele will understandably return to his club this week feeling a little irked about his lack of international activity. 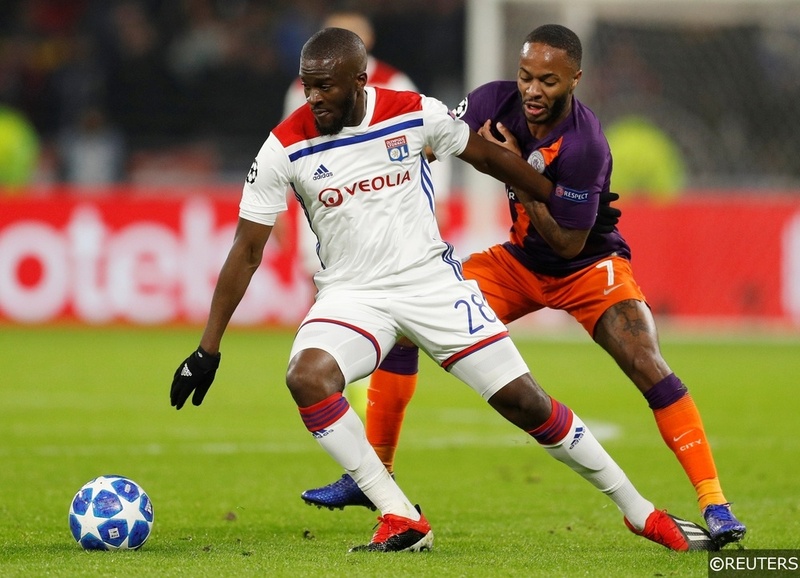 NDombele is almost certain to leave Lyon in just a couple of months’ time and already a clutch of Europe’s top clubs are said to be scrambling for his signature. Valued at around the £80m mark, NDombele certainly won’t come cheap and it looks as though the financial powerhouses of the Premier League are jostling for pole position in the race to sign him. Having faced NDombele and seen him in action first hand in the Champions League this season, Manchester City are rumoured to be going all out to bring the all-action midfielder to the Etihad this summer. The Citizens are one of the few teams willing and able to sanction a move at that price for the 22-year old, and you can still back an NDombele summer move to City at an incredibly generous looking 4/1 with Betvictor. After his somewhat narcissistic mini- documentary “La Decision”, where he reaffirmed his commitment to Atletico Madrid, it looks as though Antoine Griezmann’s future is once again up for debate less than a year later. 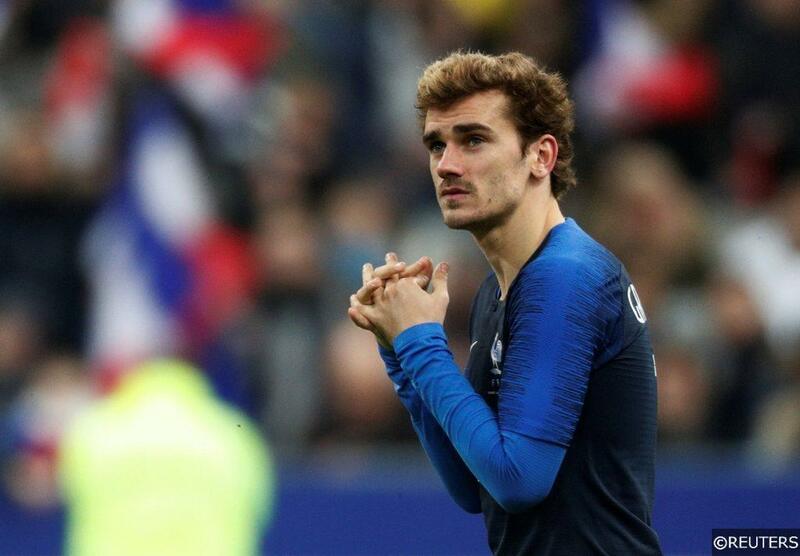 Griezmann was in fine form for France during the international break, scoring in both of Les Bleus wins against Moldova and Iceland respectively. At club level, Griezmann is rumoured to have been extremely disheartened by Atletico’s dramatic Last 16 Champions League exit to Juventus, and with the relationship between club and player reportedly starting to sour, Barcelona are believed to have made initial enquiries about bringing the unsettled 28-year old to the Nou Camp this summer. With this potential transfer priced at 2/1, the bookies clearly feel that there is something more concrete behind the Griezmann gossip. Read More about Griezmann and the potential Atletico Madrid exodus this summer here. Categories: Betting Odds, Betting Strategy, Blog, and Football. Tags: antoine griezmann, Ivan Perisic, Jadon Sancho, Joao Felix, and Tanguy Ndombele. Sports: Football.